Established since 2003, Newtrend Bathrooms have set a precedence for supplying and designing quality bathroom suites, showers, furniture, disabled wetrooms and accessories through its wide choice of products from only the best suppliers, with the emphasis on a relaxed, personal service. The experienced sales staff are also able to offer packages to suit all ages and styles of home, and offer high-quality products at affordable prices, as well as supply various bespoke bathroom suites to the correct size for each customer. 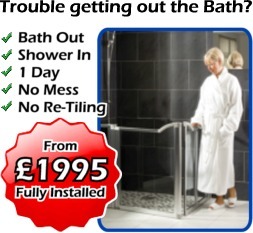 With over 15 years hands-on experience you can be rest assured of only the best advice, where a visit to your home will ensure the correct specification of bathroom suite is fitted. ” The choice of suites and accessories is a very personal one, so with us visiting each customer’s home personally, we can offer advice as to which ones would look the best “. Newtrend Bathrooms strive to offer a unique shopping experience with friendly, helpful staff and extremely competitive pricing and offer one of the widest choice of high-quality products available today.